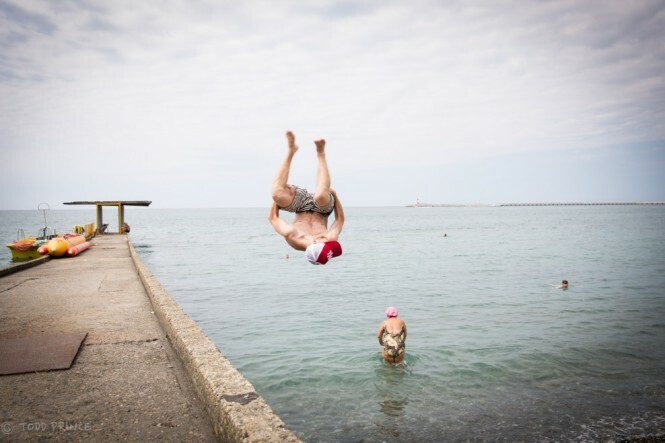 I spent a few days in Sochi on Russia’s Black Sea coast early last month to see first-hand the result of the huge investment connected with the 2014 Winter Olympics. This was my 7th or so visit to Sochi over the past 15 years and my first since 2012, so I can make some observations about the changes over the years. Compared with my first trip to Sochi in 2000 or 2001, the place has improved significantly. Back then, I arrived at an outdated, Soviet concrete box, which was the main airport. The metal detector near the entrance looked like someone had ripped out a door frame and transferred it to the airport. The airport security guard was using a mainframe that looked like an Apple II from the 1980s. The ‘cafe’ served instant coffee in plastic cups that burnt your fingers when you touched it. When you exited the airport, there were a very large number of cab drivers that would spring on you, offering to take you to Sochi….and if you didn’t have a hotel booked, try to take you to a friend’s B&B or relative’s mini hotel. I recall back then passing a shiny airport that was about 80% completed, but left abandoned. A few cows were eating grass near it. To get to the mountain resort Krasnaya Polana, I took a minivan that went up a very narrow, two-lane road, a scary ride as I feared the minivan would fall off into the valley below. There was nothing really to do there in the summer, except gaze at the nature. The big box hotels – Moscow and Zhemchuzina – were suffering from a lack of investment. There was no air conditioning, the rooms were small and beds very narrow. 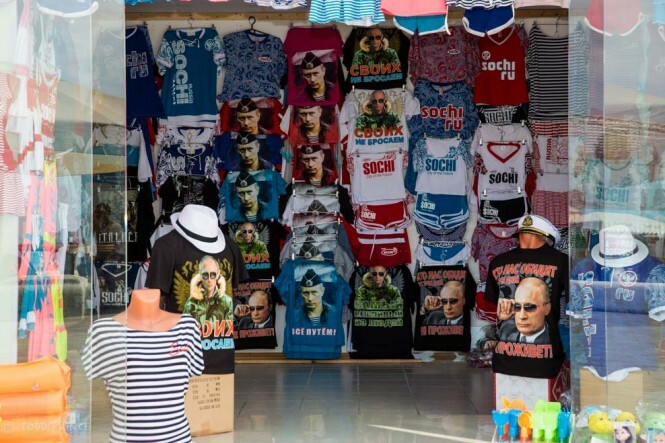 At the time, I recall being shocked at the poor infrastructure for what was Russia’s main beach resort…especially when compared to the other developing economy right next door with a resort area: Turkey. But most of that has changed. The new Sochi airport is quite clean and spacious and built to service people with disabilities (wheelchairs). Their is a new train that runs from the airport to the beach and mountain resort as well as modern buses. There are new roads that cut through the mountains to take you to a resort where there is now something to interest you – at least for an hour or so. The hotels have improved their services and accomodations. I stayed at the Soviet-era Zhemchuzhina to see how it compared to my previous stay some years ago. Most of the rooms in the massive hotel have been upgraded and were quite comfortable with good air-conditioning. The seaport has been improved, parks spruced up, sidewalks redone and some new, good restaurants have popped up, expanding the small offering. However, if you walk around the Zhemchuzina and check out all the facilities, you can see that it hasn’t – and probably never can – escape its Soviet heritage …. not without knocking it down and starting all over….and the same can be said for Sochi in general in my view. No matter how much money you throw at Sochi, it will be very hard to turn it around into a truly attractive resort. You can’t really undue the (illegal? ), chaotic and cheap real estate construction that took place in the 1990s and early 200os, something that scars the city in my opinion and gives Sochi a disorderly feel. You can’t really undue the pebble beach or the train that cuts close along the seaside. 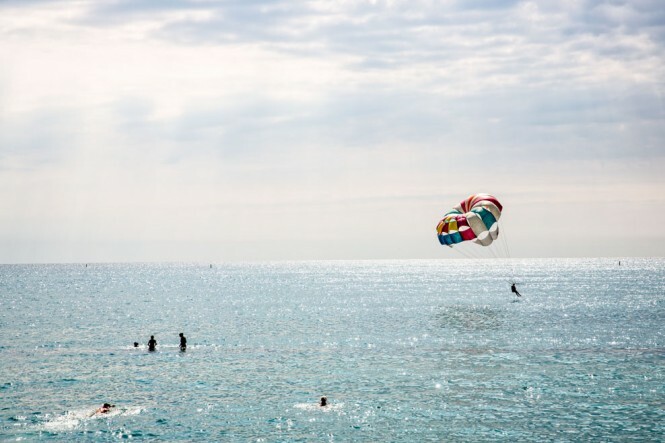 There is probably not much that can be done about the Sochi sea, which doesn’t impress with its cleanliness compared to Turkey or other near-by resorts. Getting rid of the concrete wave breakers and adding more quality entertainment and restaurants would be a good start. Sochi’s Riveria entertainment park reminds me of my childhood theme park in Coney Island in the 1980s/90s…outdated and depressing. 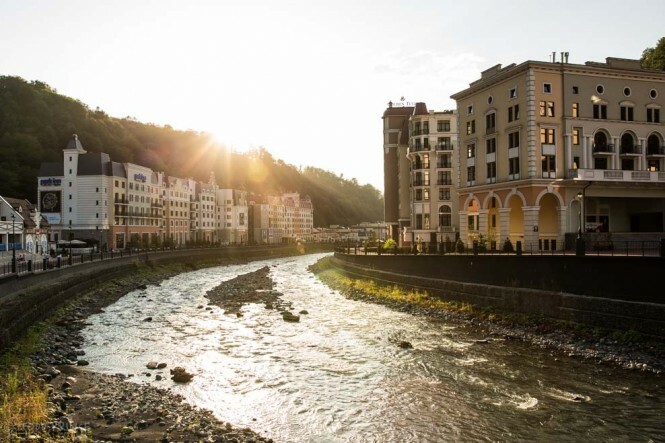 Despite the billions poured into the greater Sochi area, the region still needs a lot more investment. In its current shape, it reminds me of Coney Island in another respect – a place that you visit for a short period out of curiosity or to rekindle childhood memories, rather than because it’s a good resort. Even locals agree you don’t get your money’s worth from staying in Sochi. As for the crowds…even taking into account that it was the end of the vacation season, the number of tourists in Sochi during my stay still seemed low to me… as well as to some local workers. The massive Olympic park looked quite empty (see photos). 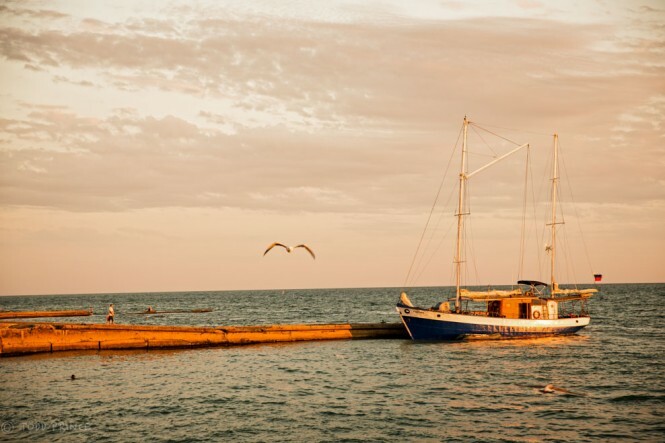 A few locals said that Russian state workers may have been sent to vacation in Crimea to support that economy, explaining the smaller crowd. To end on a positive note, I did meet many people – especially young individuals – that had moved to Sochi from Siberia, the Russian Far East or former Soviet republics. If this trend continues – and it likely will – then perhaps these people will bring with them ideas and investment to help make Sochi a more pleasant place with time. To see the full Sochi gallery, please click on this link. A Russian youth shooting Obama and Poroshenko cans on the Sochi boardwalk.